"Has been around for years - focused on sports"
Bwin was listed in the accredited section back when they were small time – Triple-A-Casino and Betandwin. This was back in 2000/2001 – but as the years went by, they began to lose touch with our player community. They also initiated a controversial retroactive term in their terms and conditions for their affiliates – which most considered predatory – to include myself. So consequently, they were dropped from the site. Additionally, they were implementing withdrawal limits to progressive payouts. 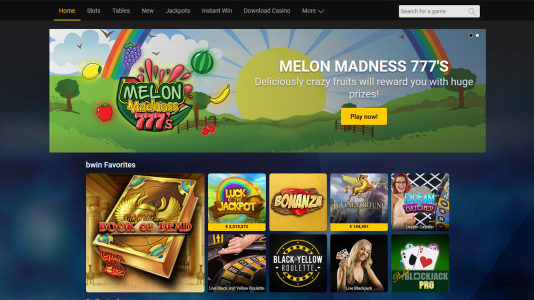 They removed this rogue term in September 2016 when they switched from a Playtech powered casino to one owned by GVC. Oddly enough it reappeared in 2017, (which caused them to be listed in the Rogue Pit) but was evidently removed in 2018. I don’t know whether or not it was ever enforced, but the good news is that it is no longer there. This was confirmed by their representatives. So now they are listed in the Grey Zone – they are not Accredited by Casinomeister, but I honestly don’t think players will have any issues with Bwin. Bwin is a massively huge company. They are well branded – you can’t watch any sports really anywhere without seeing bwin ads on billboards, uniforms, or televised commercials. They are regulated in the UK, and the EU. 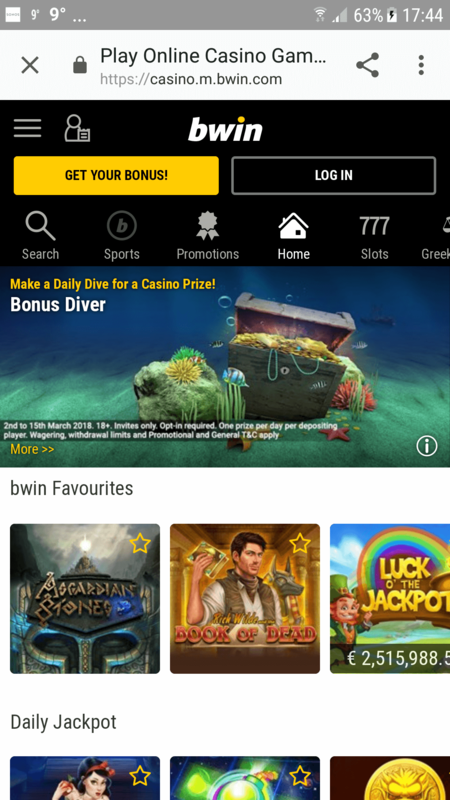 Bwin has loads of games from these suppliers: 1X2 Network, Amatic Industries, Betdigital, Big Time Gaming, Blueprint Gaming, bwin.party, Core Gaming, Edict egaming, ELK Studios, Evolution, Eyecon, Gamevy, Greentube, IGT, Inspired Gaming, iSoftBet, IWG, Microgaming, NetEnt, NextGen Gaming, Novomatic, OpenBet, PariPlay, Play’n GO, Pragmatic Play, Realistic Games, Red Tiger Gaming, SG Digital, SG Gaming, Slingo, Thunderkick, Williams Interactive, Yggdrasil. So they have pretty much everything for anybody. They have a massive assortment of games to play on your phone or handheld device. bwin Terms and conditions Apply. Bwin has taken the time out to remove predatory terms from their withdrawal terms. This is really good news since this could have been disastrous for progressive jackpot winners. It’s encouraging to see a casino do the right thing. I really don’t think players will have any issues with bwin.